The Ministry of State for Antiquities (MSA) has decided to exempt bazaar, cafeteria and gift shop owners in museums and archaeological sites from paying rent for June and August. As part of the ministry’s move, any legal action that has been initiated against the owners of affected businesses will be stopped. The step was approved by the MSA’s Administration Council when it met Wednesday and comes as an attempt to reduce the burden on businesses affected by the slump in the tourism industry. 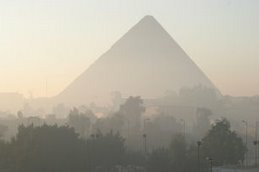 The political and security instability, which riddled Egypt since the revolution started, has forced tourists to make tough decisions: leave Egypt in a hurry if they were already here, cancel their reservations, or postpone any plans to visit the country that prides itself on being one of the most famous ancient civilisations, as well as having attractive beaches. Egypt’s tourism ministry continues its PR campaign to bolster the country’s visitors after a 2011 that saw tourism drop by more than one-third as a result of a popular uprising and continued clashes throughout the country. Tourism in Egypt has been historically one of the top foreign income sources in the country, but as a result of the tensions and violence in 2011, visitors went elsewhere, leading to a backlash on the Egyptian economy, where some 20 percent of the country work in the tourism sector. But Egypt’s Tourism Minister Munir Abdel Nour is confident that 2012 can be a return to the tourism boom that had seen Egypt increase its visitors annually until last year, as a result of its close proximity to Europe and its cheaper costs of travel inside the country. “We can get back to the 2010 figures of $12.5 billion in terms of income and 14.7 million tourists in 2012 if perceptions change.